BC Hydro, the third largest electricity supplier in Canada, is a proud supporter of the Vancouver 2010 Winter Olympic Games. Their engagement of the public in the games is focused on the future of energy efficiency at the Power Smart Village in Vancouver, backed up with television commercials, their Facebook page, Flickr photo album. The Expression Wall, located in the Power Smart Village, is a digital graffiti wall with an electric spray can that feels just like the real thing. 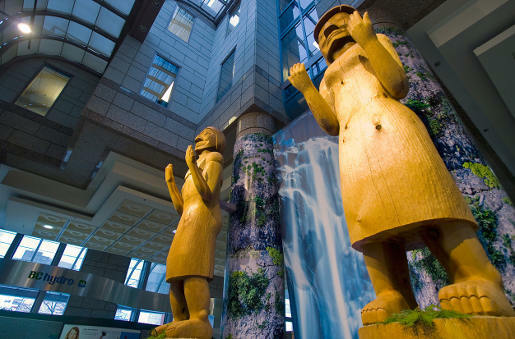 The Power Smart Village features two 18-foot tall figures, carved out of red cedar by BC Hydro employee George Hemeon, using the Coast Salish tradition. The figures represent a mother and father holding out hands as a sign of welcome and friendship, without weapons. 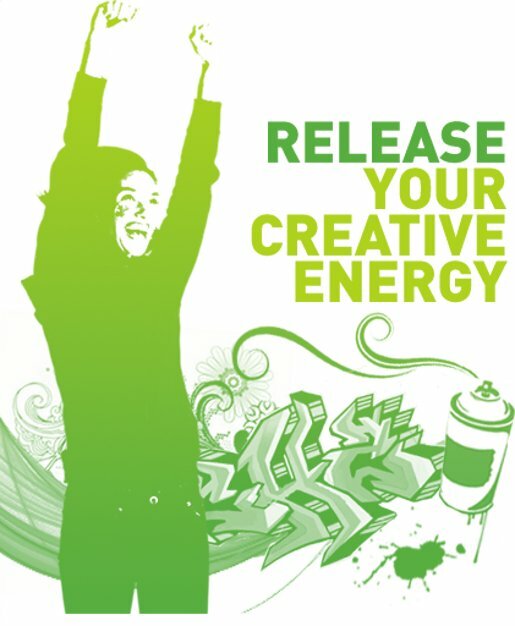 The Sustainable Dance Floor in Club Energy, produces energy as people dance. Sustainable Dance Club, Rotterdam, brought their technology to the Power Smart Village, building a dance floor of 65 cm square tiles sitting on springs hooked up to generators. The harder people dance, the more the springs go up and down, and the more energy is generated. LED lights flicker on and off in each tile, and a monitor screen shows the dancers the relationship between their movement and the energy they’re generating. Club Energy is open from noon until 10 p.m. on Friday and Saturday, and until 8 p.m. from Sunday to Thursday. Deejays will be spinning all types of music for all ages, and dance students and professionals from Harbour Dance will be leading visitors in salsa, swing, hip-hop, and country two-step dances. Every day at 3 p.m. there will be a So You Think You Can Dance competition. And at 5 p.m. is a Fastest Feet Competition, to see who can generate the most energy by moving their feet. On Friday and Saturday nights at 8 p.m. local b-girls and b-boys will spark one-on-one break-dance battles on the energy-generating floor. Throughout the Games, Club Energy will be measuring which country is able to generate the most power by dancing in the BC Power Smart Dance Challenge. Three commercials demonstrate the connection between being Power Smart and achieving during the Vancouver 2010 Winter Olympics. The three commercials were developed for BC Hydro at DDB Canada, Vancouver, by creatives Chris Moore and Jarrod Banadyga, and agency producer Sue Bell. Filming was shot by director Ron Gervais via Electric Company, Toronto, with producer Suzy Bradshaw and director of photography Brett Van Dyke. Post production was done at AXYZ, Toronto, by editor Peter Mcauley, animator Dennis Turner, and Flame artist Joel Saunders. Sound was designed at Wave Productions, Vancouver. The Welcome Figures were designed and carved by George Hemeon, BC Hydro’s Senior Procurement Advisor and member of the Squamish Nation, under the direction of lead carver Sean Hinton, a descendant of the Cherokee Nation.